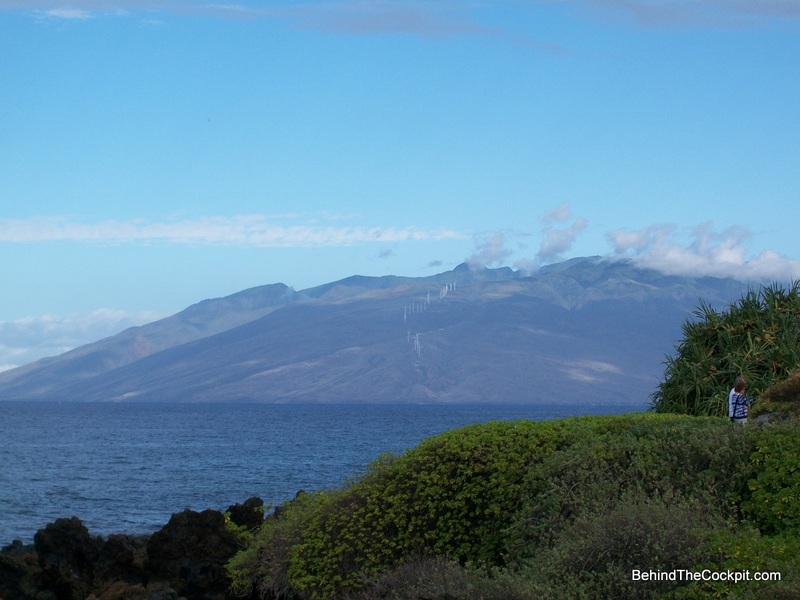 After a quick and easy drive from the airport we pull into Wailea (The city the Fairmont Kea Lani hotel is in) and you can’t help but notice this place is a bit different. It’s more lush, landscaped by an artist with the roads just flowing through the rolling hills. The smell of the air is also a bit different, very fresh. After we exit the car we are once again in an open air lobby with a view of the ocean. We proceed to check in and get our lei greeting. 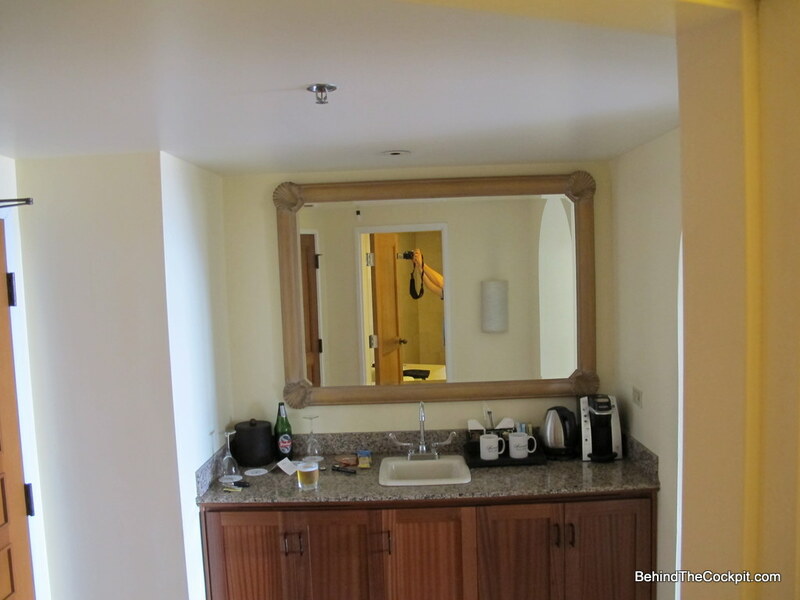 I’ve heard they are more stringent here and since I was using two free night certificates and a suite upgrade, I wasn’t really expecting an additional upgrade at checkin. 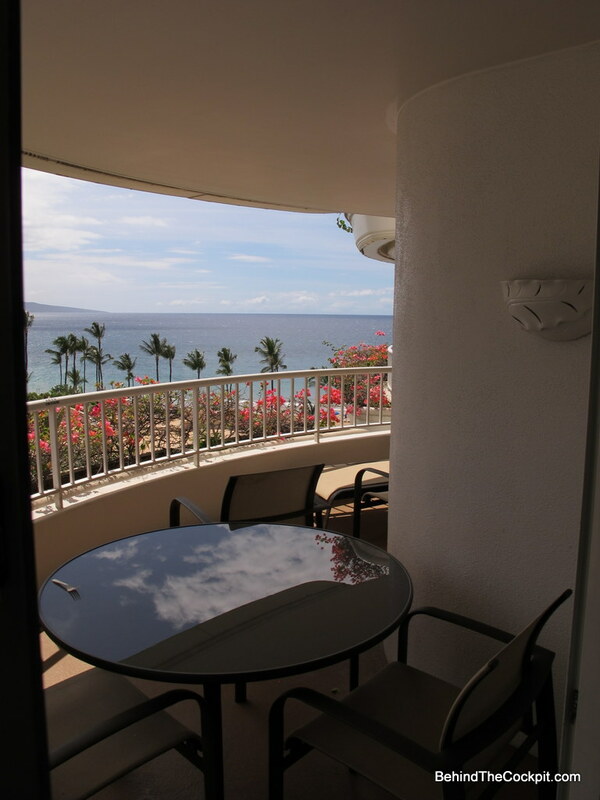 We were booked in a Partial Ocean View so you can imagine our delight when we heard about our upgrade to Deluxe Ocean View. Since both of us are Fairmont Platinum members this was a very nice bonus! Now let me go back a bit and let you know about my connection with Fairmont. I live in Calgary Canada, an hour away from the iconic Banff Springs Hotel. 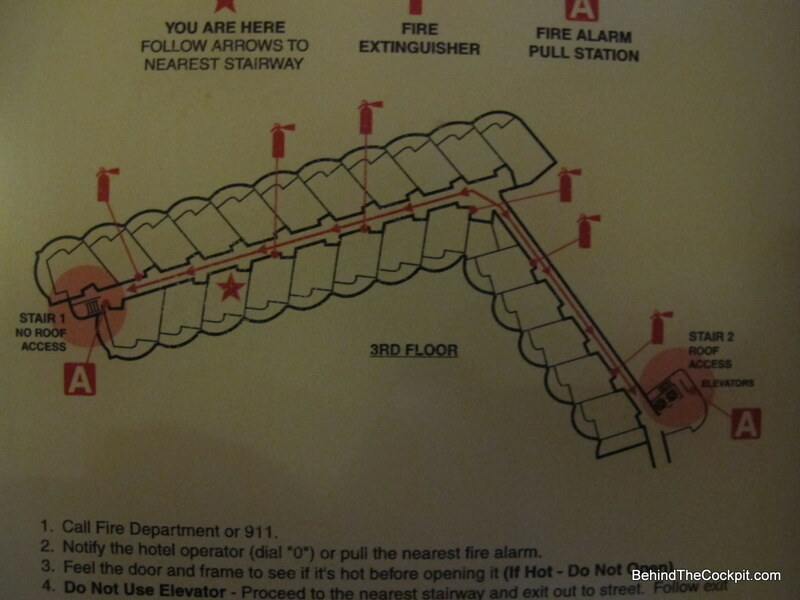 I also love Vancouver which had 3 Fairmont’s when I was making regular visits there so a relationship started to brew. I’ve stayed over 25 times between these two areas at Fairmont’s and have made some good friends with the staff. Before I hit 30 I had 40 stays with Fairmont hotels. As we entered the room I felt right at home. My full Adidas outfit and shoes were in the basket on the bed, this is a free perk for Platinum members it’s called Fairmont Fit. The menus, remote control. magazines, towels, toiletries, glasses, pens and slippers I‘ve become familiar with. When I go to the hotel lounge the drink menu I know by heart which includes the Singapore Sling, Caesar, Mojito and the $25 Moet drink I’ve yet to have. Soon after exploring the room our baggage was delivered by nice man who had been working there for around 20 years. He gave us a great rundown of the whole place while we sat on the patio with a brew in hand already watching the whales in the distance. My gf slipped on her bikini and went straight to the pool while I caught up on some work with a few more brews on the patio. 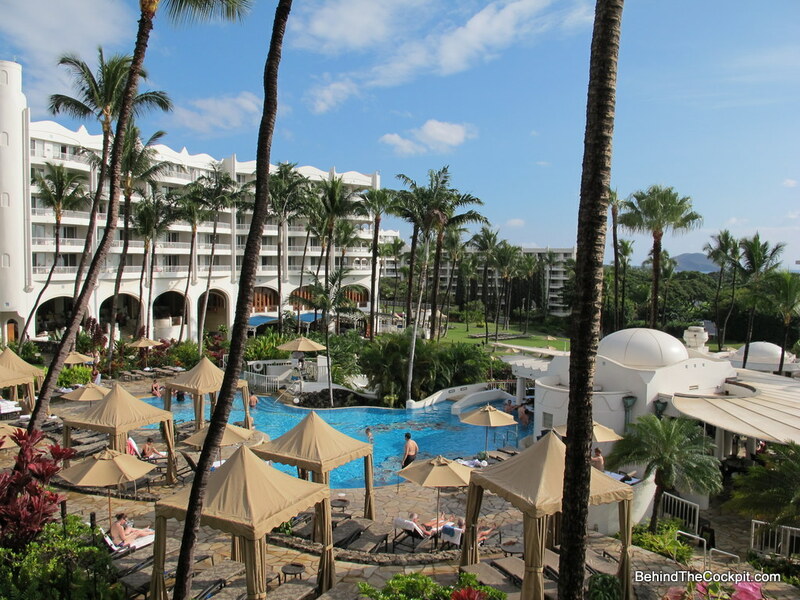 The Fairmont Kea Lani is an all suite hotel so 90% of the rooms are the exact same just with different views. At first glance the room didn’t really spark any wows but the more I used it the more it grew on me. It wasn’t as fancy and modern as some of the suites I’ve stayed in but the space works very well especially if you have a few children. The view and the balcony however were amazing! The bar area which is on your left as you enter, is a great spot to store munchies and drinks. You can prepare quick meals in the microwave in case you want to save a few bucks. The L shape couch can seat 5 people comfortably and flips into a sofa bed. 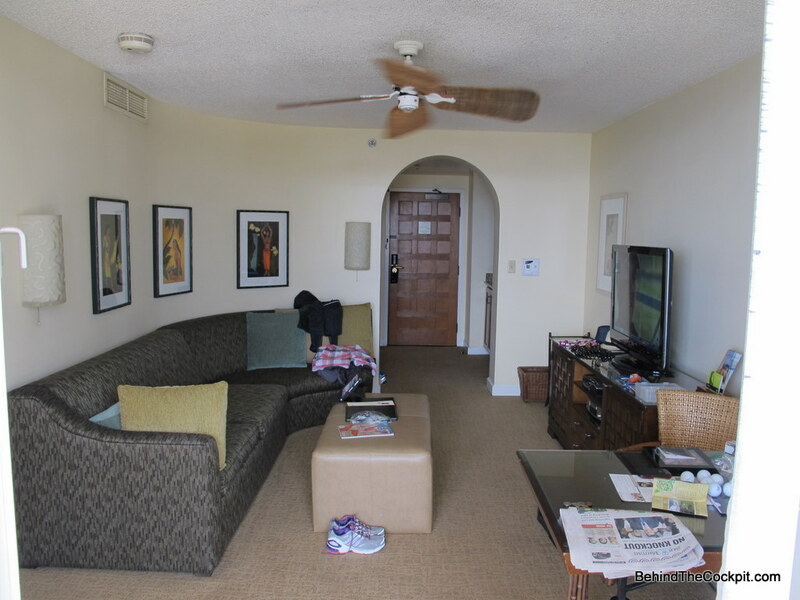 The entertainment system has inputs for all electronics and has a nice flat screen TV with HD signal and soundbar. The bedroom is just the right size with an ocean view. The balcony is very wide with four chairs, a large table and a lounger. 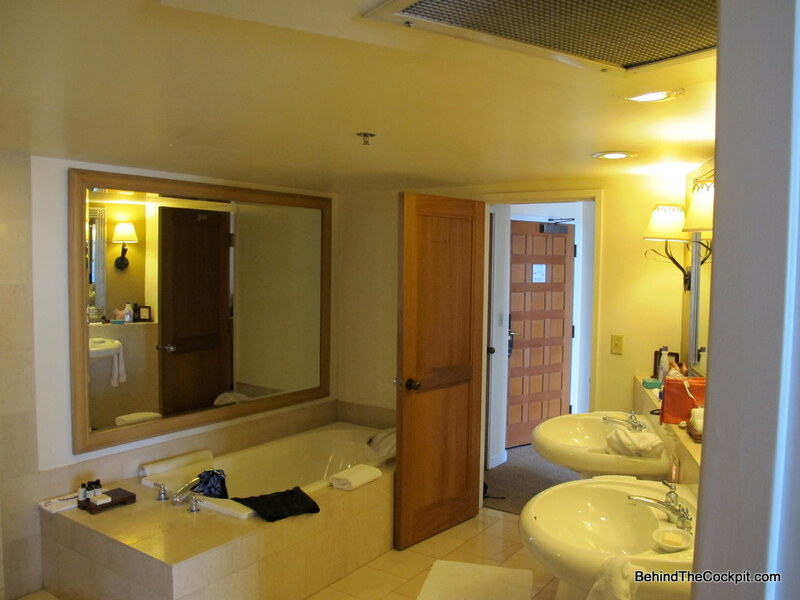 The bathroom has no windows but has dual sinks, a large granite tub and shower along with a separate toilet room. Our cosmetics were nicely arranged everyday which is service I expect more at a Four Seasons. Overall the space of the suite is excellent and if I were to buy a 1 bedroom condo in the future a layout like this is appealing. At 4:00 I went to the pool and hit the waterslide. 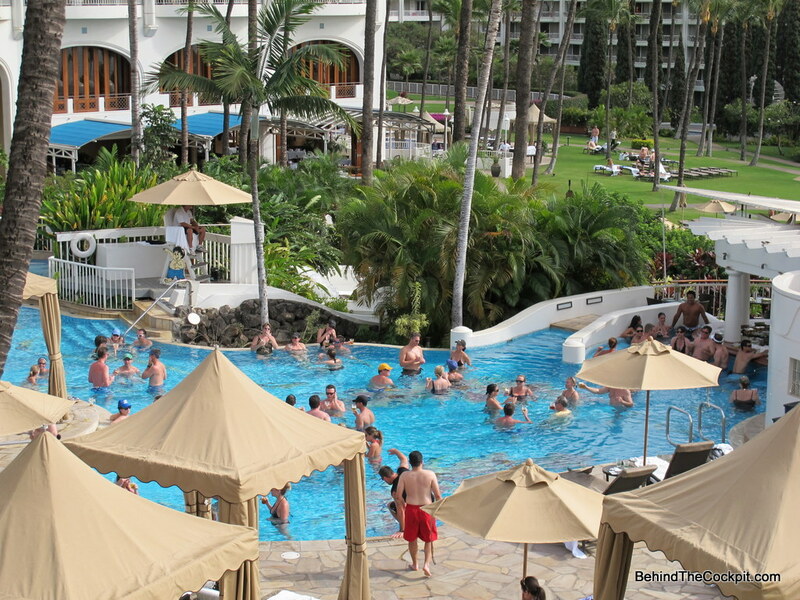 I then headed to join a happening atmosphere near the swim up bar with my girlfriend. Boy was I surprised when her vodka cranberry and my Heineken were $3 each, happy hour at the Polo Beach Grille was from 4-6pm everyday. We happened to see Simon Helberg, who plays Howard Wolowitz on the Big Bang Theory having lunch here with his wife. We had dinner our first night at Ko. As platinum members we get one “Local food experience” each per year and decided to use it on this occasion. We started off with another bottle of bubbles and the spring rolls which were divine, the best I’ve ever had. They were crunchy, crispy, flavourful and not oily. The local food experience dish at the Kea Lani is the Maui Raised Ribeye with the fresh catch of the day. This dish was prepared perfectly to our likings and was a huge feast. We passed on dessert and chose to just to enjoy our last glass of bubbly. 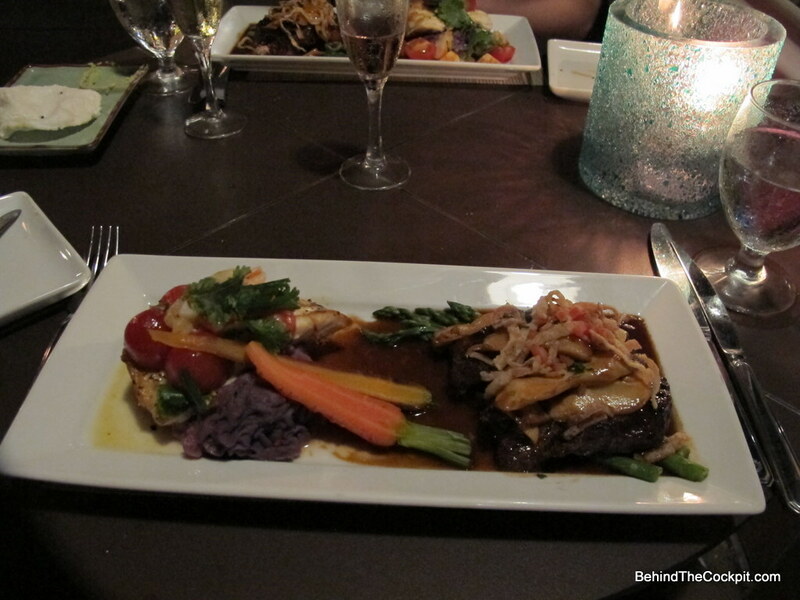 We had an excellent dining experience at Ko Restaurant and would definitely return. 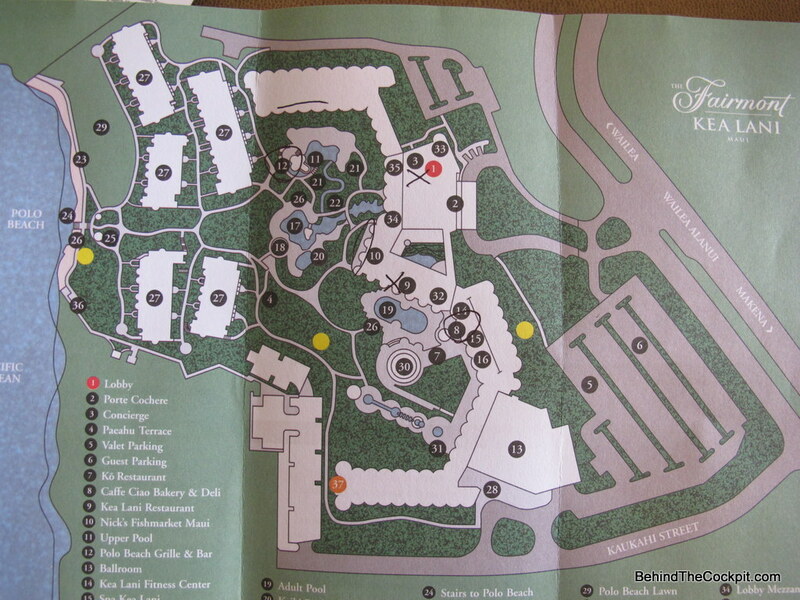 The layout of the Kea Lani includes one pool with a waterslide and swim up bar, another pool below and a 3rd pool which is adult only. 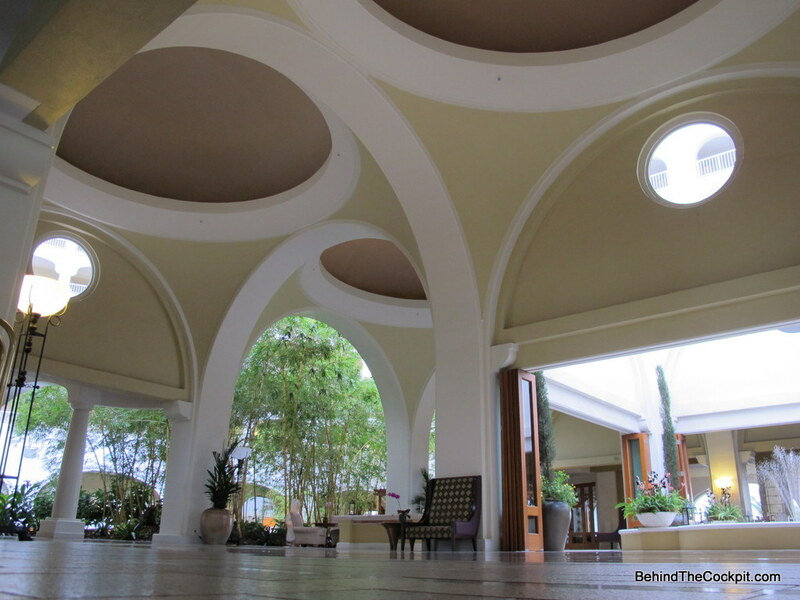 The surroundings aren’t as impressive as the Grand Hyatt Kauai but still very nice. They also rent out villas here which are 2 and 3 bedroom units closer to the beach. The beach is called Polo beach and there is an attendant on duty who will bring you loungers and a table to your desired spot. If you want an umbrella there is an extra charge. This is a very peaceful sandy beach which gradually turns deeper and is an excellent place for all ages. 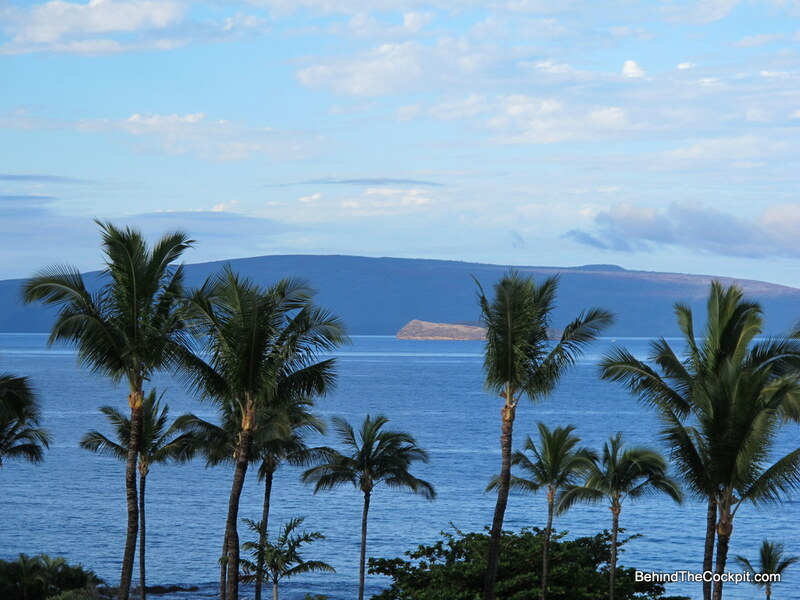 There’s also a good snorkeling spot near by, turtles live between here and the Four Seasons beach along the rocks. 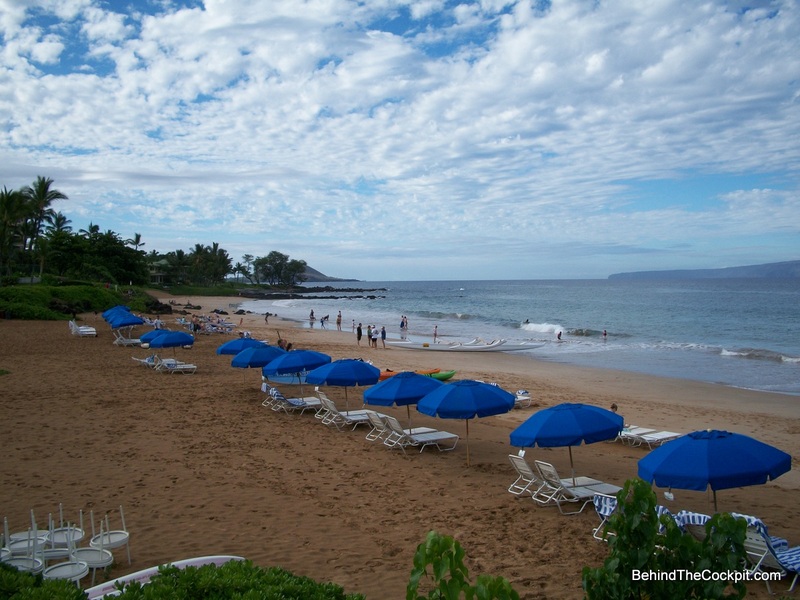 Since it’s at the more southern part of Wailea there isn’t as much foot traffic compared to the beach next to the Grand Wailea and Four Seasons. 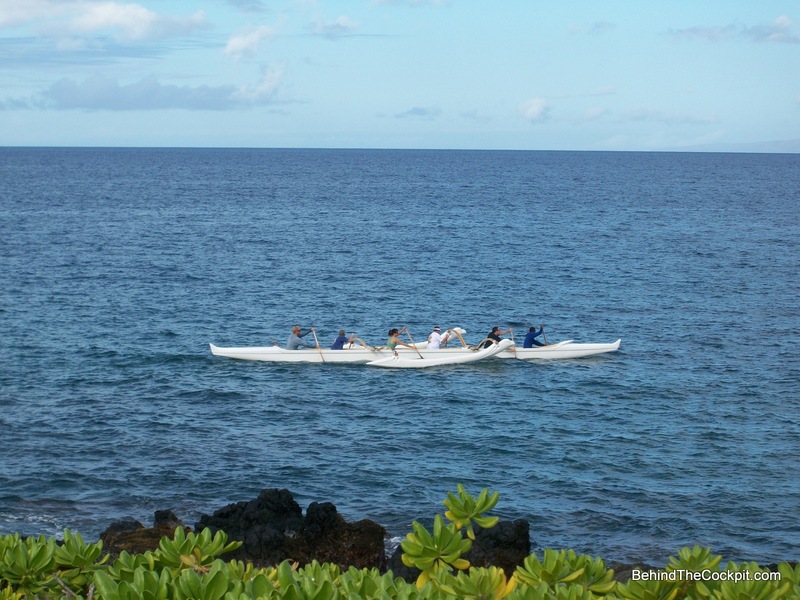 One activity you must do is the complimentary outrigger canoe experience. I suggest you book this months in advance if you can. There are 4 spots available and it runs at 6, 7, 8 and 9 am. It’s run by a very nice gent named Chris and his partner and you are sure to enjoy it. We went at 6am and the sun wasn’t even up yet so it was an incredible way to start the day. If there are whales in the area you may get a very close encounter. We did see a few turtles and whales and watched the sun come up. I do suggest you tip the crew even though it is complimentary. 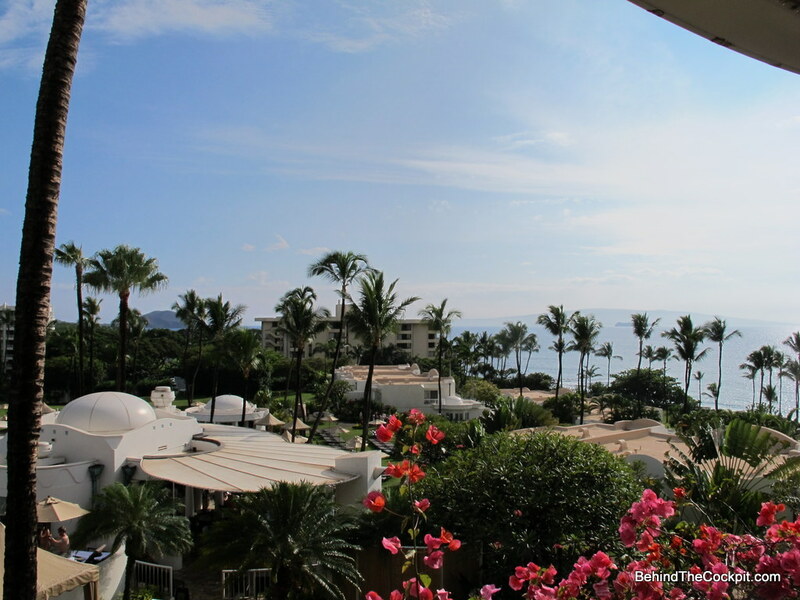 The Fairmont Kea Lani provides complimentary rides to almost anywhere in Wailea. We used this service to dine out and to get to the golf courses and shopping mall. The wait was never more than 3 minutes. All the staff we encountered really cared about making our stay as enjoyable as possible which I commend them on. There are 3 golf courses in the immediate area which are owned by the GolfBC group but appear on Fairmontgolf.com. Rounds range from $79-$219. 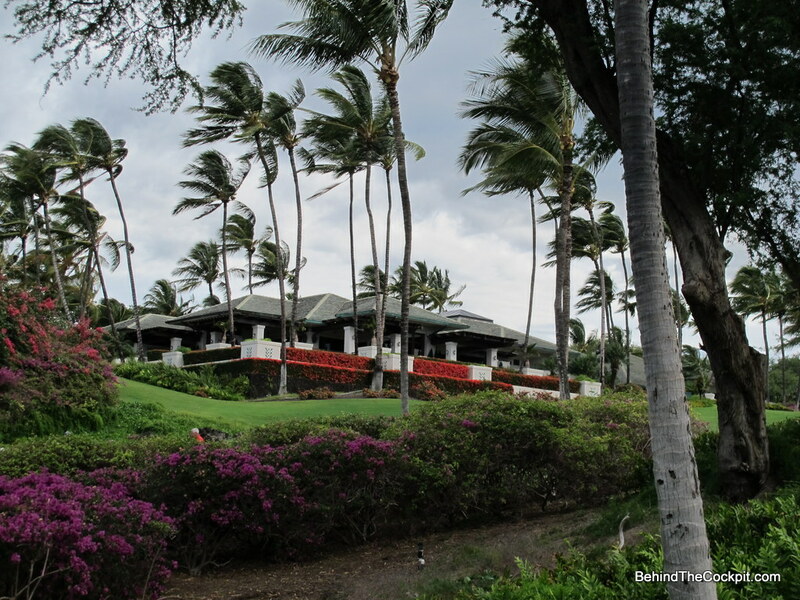 I played the Wailea Gold course which is the toughest of the 3 and I managed a 77 in really windy conditions. 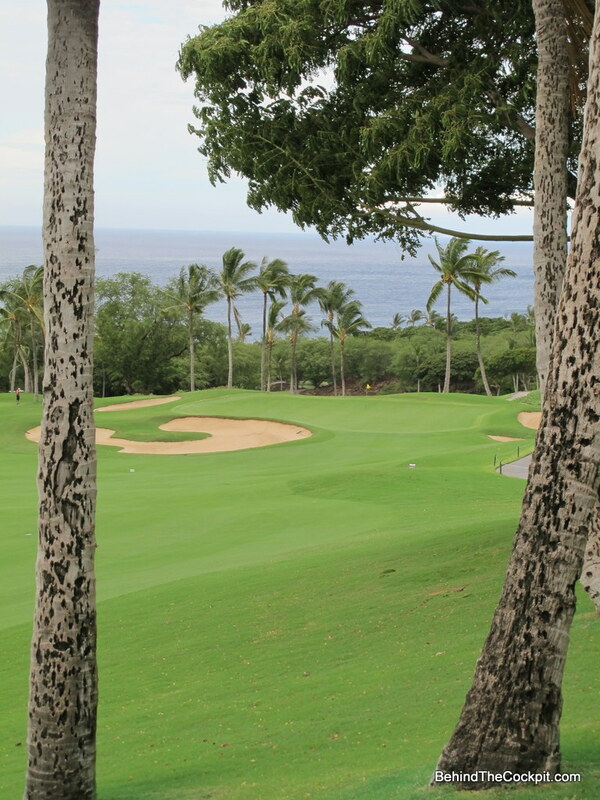 The Emerald course is known for better views and a friendlier layout so I would look into both before you decide. 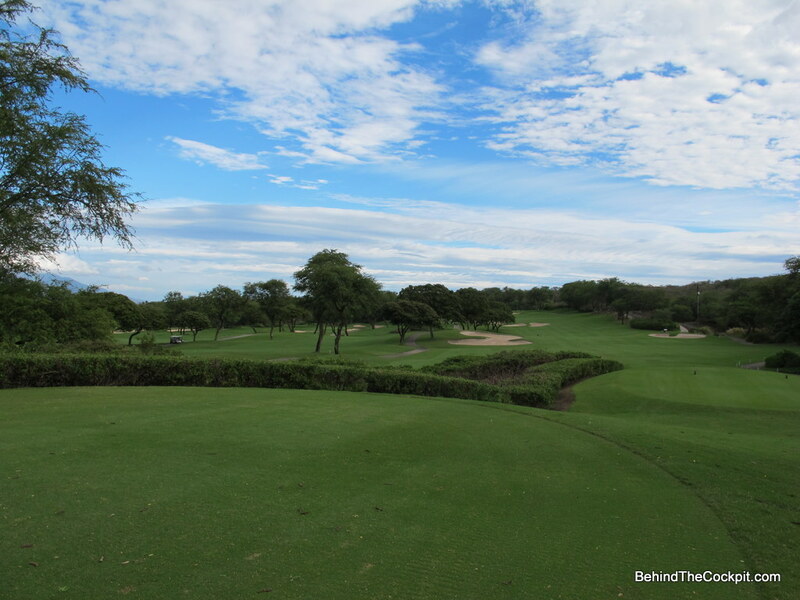 I chose the Gold course simply because I love playing courses Arnold Palmer and Jack Nicklaus have played. Clubhouse at Gold and Emerald golf courses. Great place for lunch even if you don't golf. 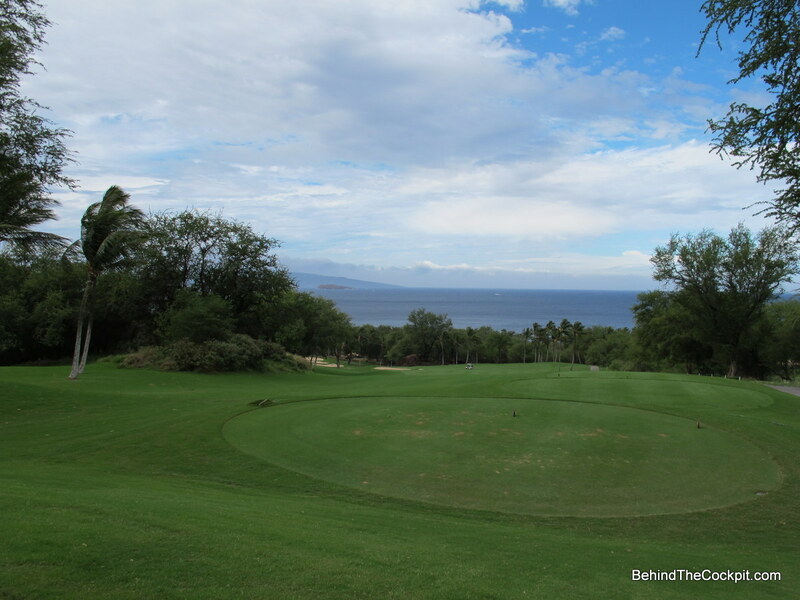 1st hole on Wailea Gold Course, view from clubhouse dining area is the same! 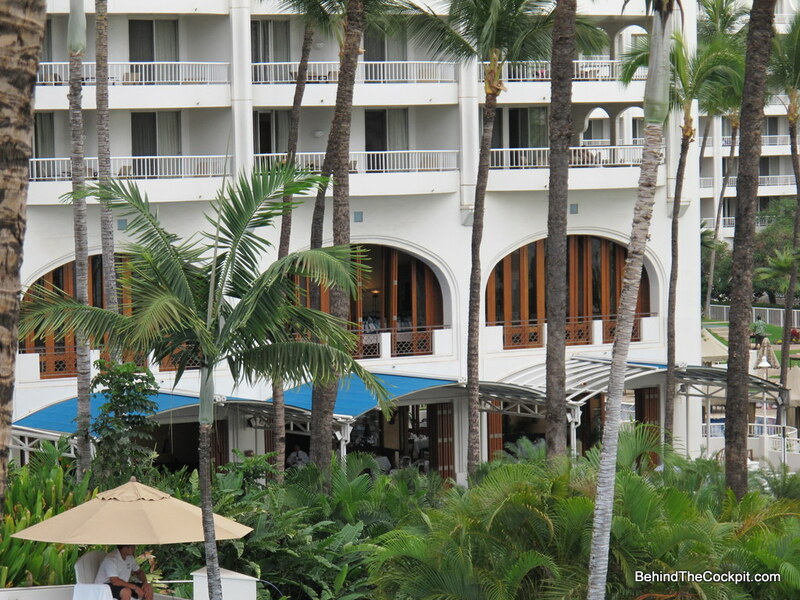 The Fairmont Kea Lani like many Fairmont resorts has a little grocery store on the bottom level. Here you can find ice cream, sandwiches, salads, pizzas, dinner entrees, beer, wine, bread, cheese, meats, fruit, desserts and even a local Hawaiian section with spices and local products you can take home with you. This is a nice option to have, you can also preorder dinners and enjoy them on your balcony which has that million dollar view. Other dining options in the area I highly recommend are Manteos pizzeria if you like thin crust Neapolitan style pizza. They have two types of crust and we opted for the thin individual pizzas. They range from $11-$15 and you pay as you enter, grab a number and they serve you. This place overlooks the Blue golf course which is a nice perk. 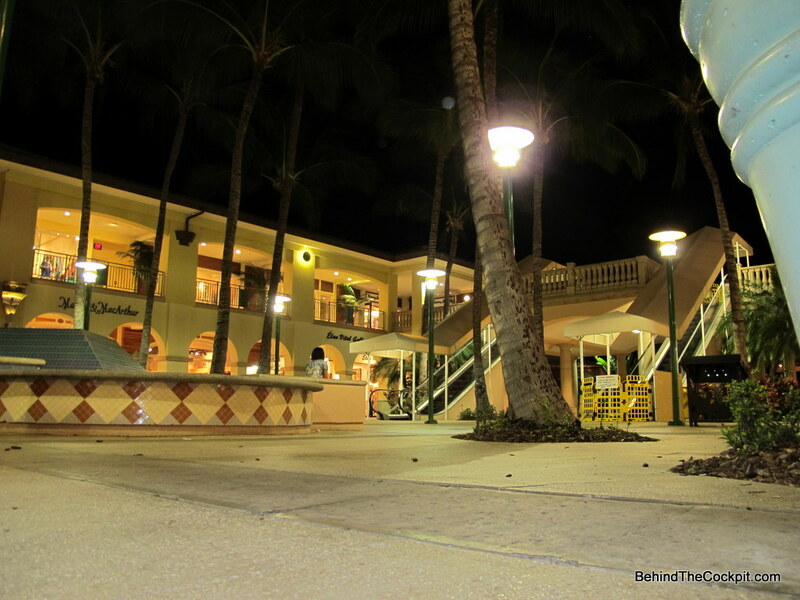 On our last night we had to scramble to buy gifts and I was on a mission to buy some sunglasses so we ended up spending a couple hours at the Wailea mall. We ended up having dinner at Tommy Bahamas, usually I like to research restaurants before making a decision but this time we just decided to give it a try. I was in the mood to be a bit social so we sat at the bar. Our first set of drinks arrived fast and since I was hungry the ahi tuna taco appetizer quickly followed. I have had many different fried wonton type tacos over the years but this variation was the best ever. Fresh herbs to give it that punch meanwhile the shell was light and crispy. At this point I was very happy we stumbled upon this place. We both had the scallops for our mains and this was another treat. 6 plump perfectly cooked scallops over coconut rice and subtle curry. For the excellent price, service and food this is one place I’d go back to in a heartbeat. The following day we packed up our bags and headed back to the airport. I don’t have a single negative comment about our stay in Maui. We really felt like we were in the lap of luxury. This hotel was phenomenal, the weather was sunny and the food was fantastic. Overall an unforgettable experience, we will return! 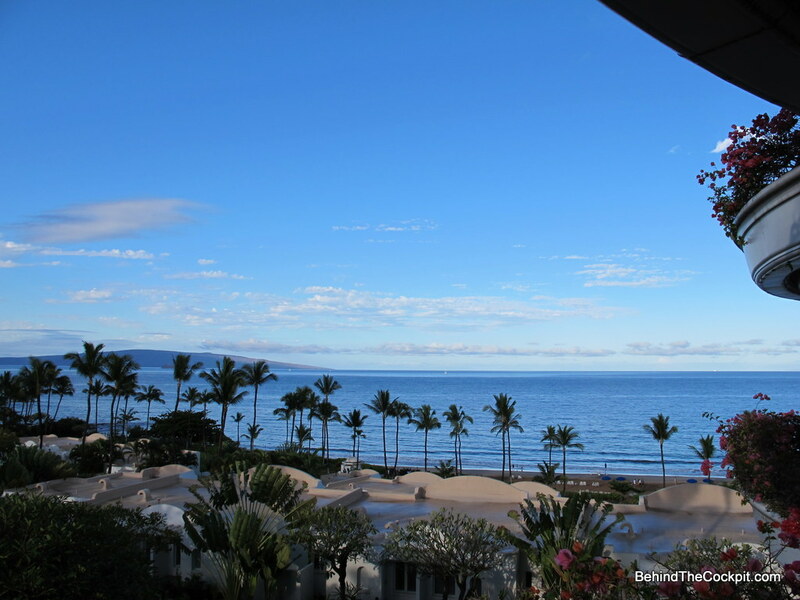 This entry was posted in Hotels, Trip Reports and tagged Fairmont Kea Lani, Hotel report, Luxury Hotel, Maui, travel, Wailea. Bookmark the permalink. So loved reading this. We spent a week there in January and stayed in a 2 br Villa. 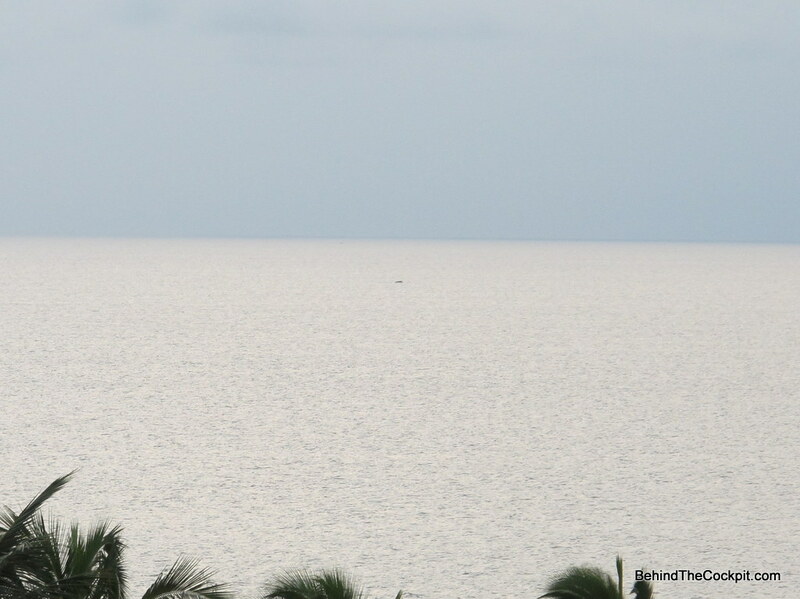 90% of your lovely photos look just like out photos – so good to be reminded again of how lovely the Fairmont there is. You have described it perfectly. which one did u like staying in better? 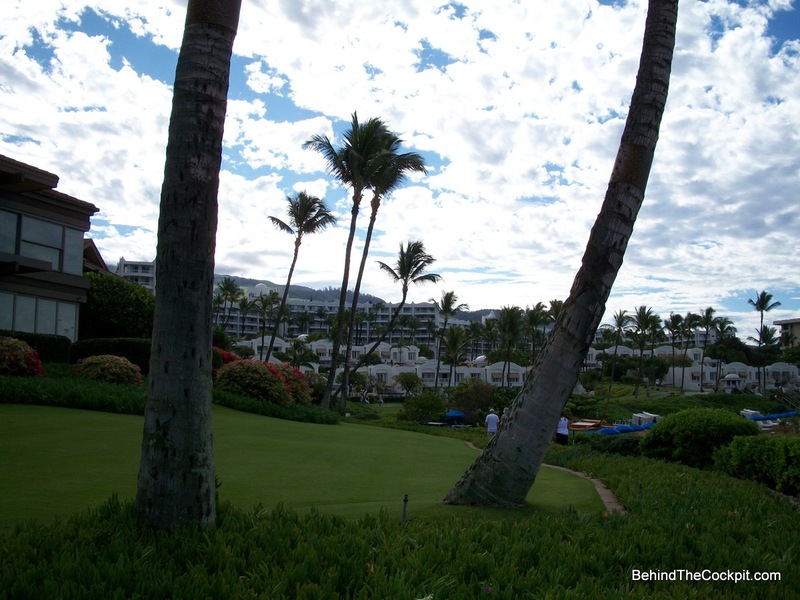 the fairmont in maui or the grand hyatt in kaui? Mindy and Anita I’m glad you enjoyed my reports! Anita that is a very tough question and I think the real answer is dependant on what type of person you are and what you are looking for at the end of the day from your vacation. They are both great options but differ in many ways and that starts right with their location. Kea Lani is located in Wailea on Maui, I think they have their own climate bubble here, which means it may be raining to the north and east of the hotel but it somehow doesn’t hit Wailea. The beach at the Kea Lani I wouldn’t hesitate to take my kids for a swim. The complimentary car service at the Fairmont also opens up many other dining options in the vicinity. 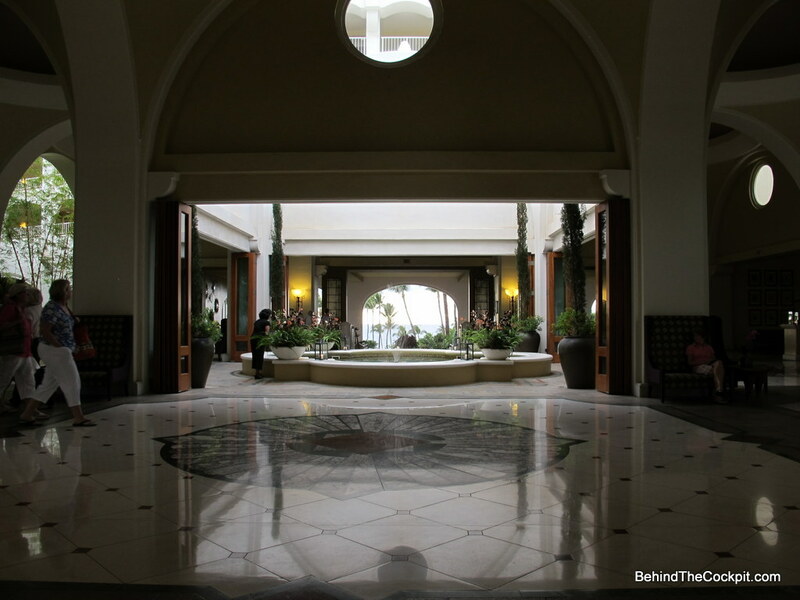 The Grand Hyatt (GHK) is on Kauai which has a totally different feel to Maui. Not every second car is a Mustang Convertible or Jeep with Hertz stickers. It’s called the garden isle and it is lush and tropical, a bit more rainy too though. But back to the actual hotel, the grounds at the GHK are stunning! It really was a little piece of paradise with the ocean in the background. 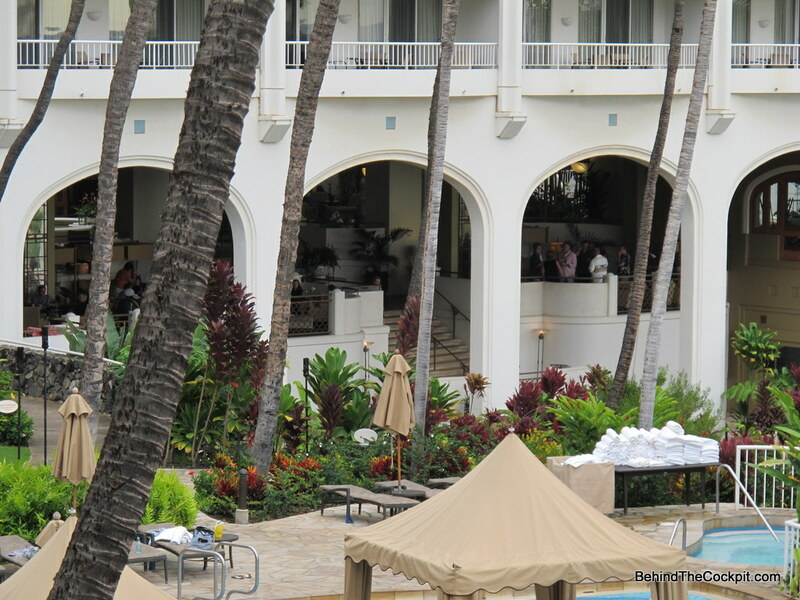 The GHK really did maximize their efforts meanwhile the Kea Lani grounds felt bare in comparison. At the end of the day the GHK was the stand out winner between the two hotels in my books. 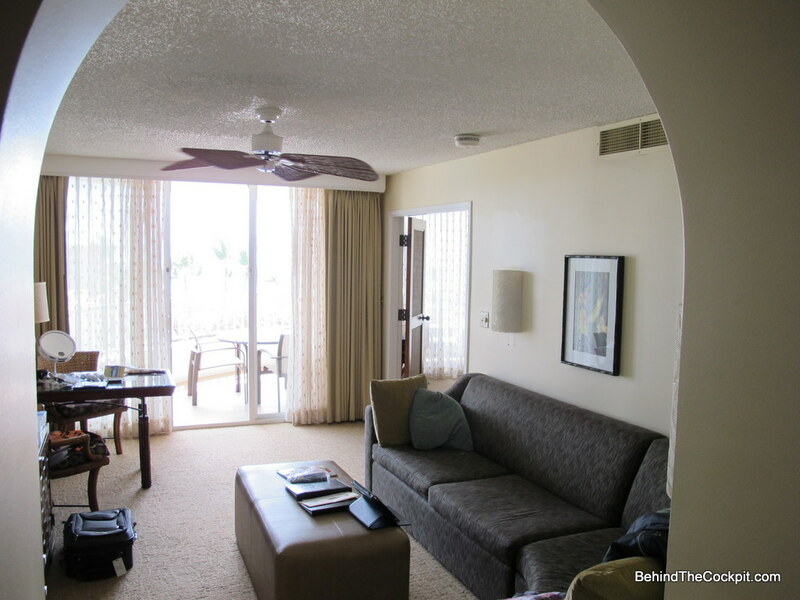 Now that I’m a Hyatt Diamond guest I can’t wait for my next trip back where I hope I get upgraded to an ocean view room and even if I don’t I’ll be able to access the club lounge so the breakfast and evening appies will be a nice bonus. I forgot to mention this in the post but I booked the GHK for $181 a night plus taxes and resort fee on Priceline. 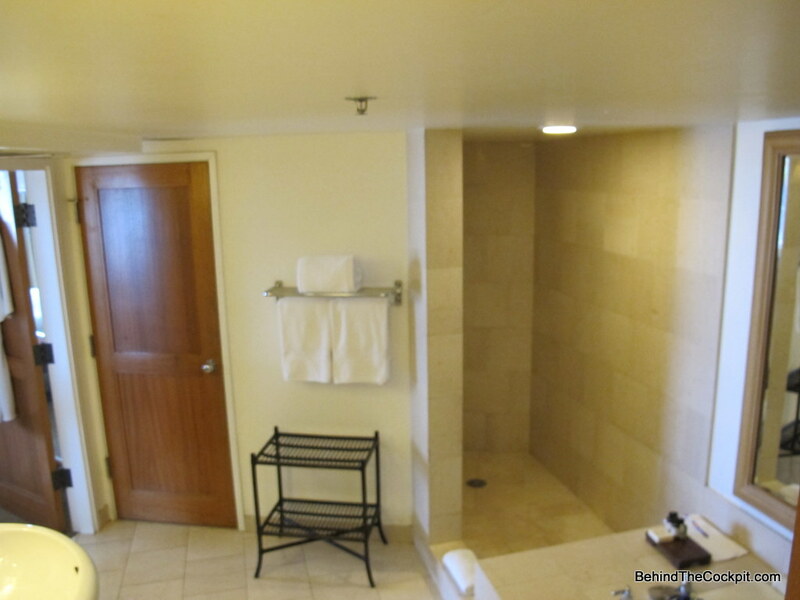 This is much cheaper compared to the lowest rates at the Kea Lani since all their rooms are suites. So value wise GHK also wins hands down in my books on this stay. Keep in mind at the GHK a rental car is necessary. 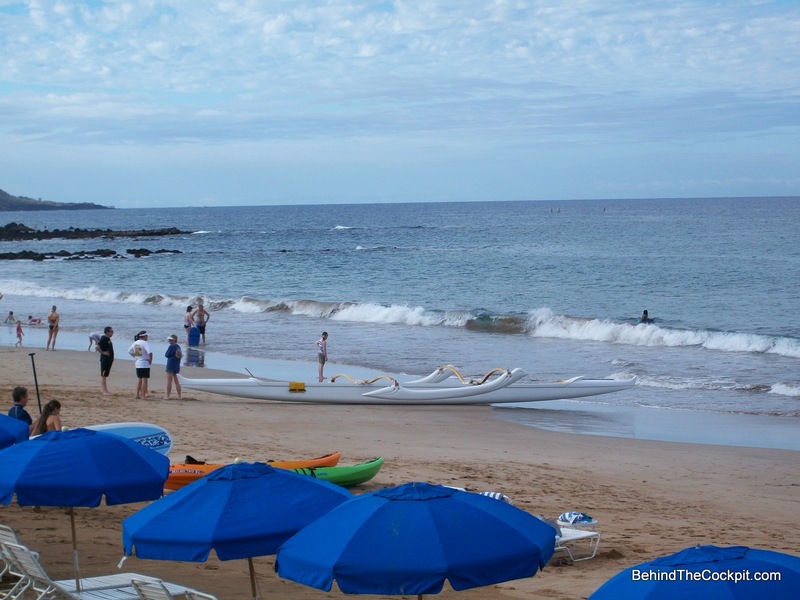 You may only need it for 5 minute drives to get to Poipu beach or a restaurant but the rest of the transit options here can be a crapshoot. 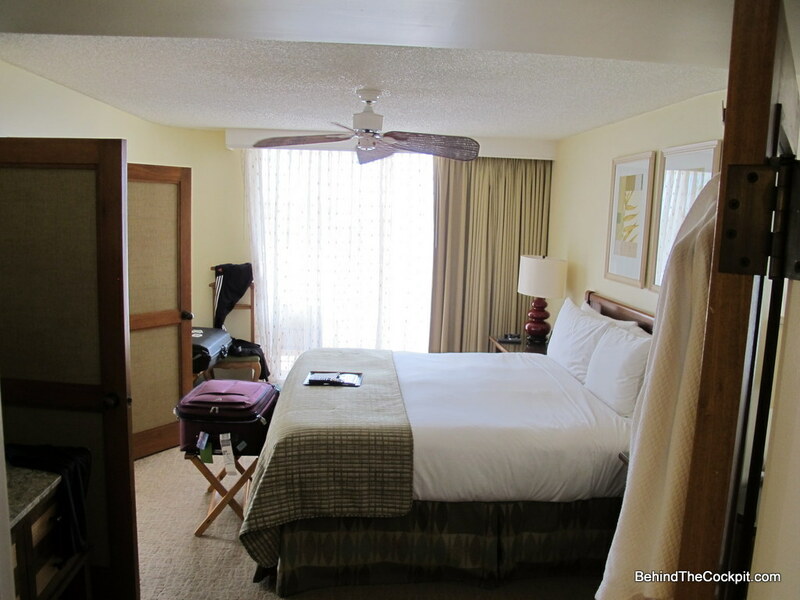 Make sure to also check out the north side of the island here and maybe even stay at the St. Regis and enjoy the Napali coast in case you decide on Kauai.